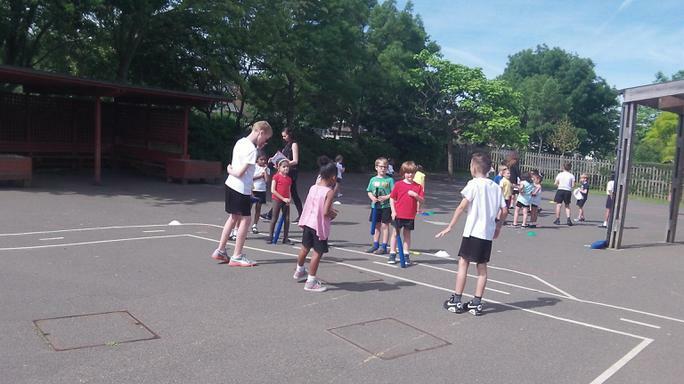 On July 6th children took part in School Games Day. 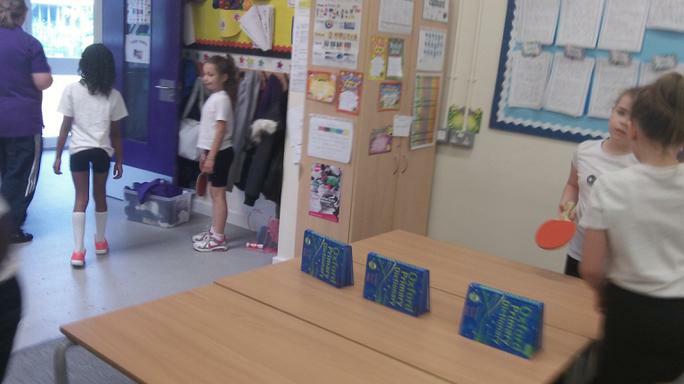 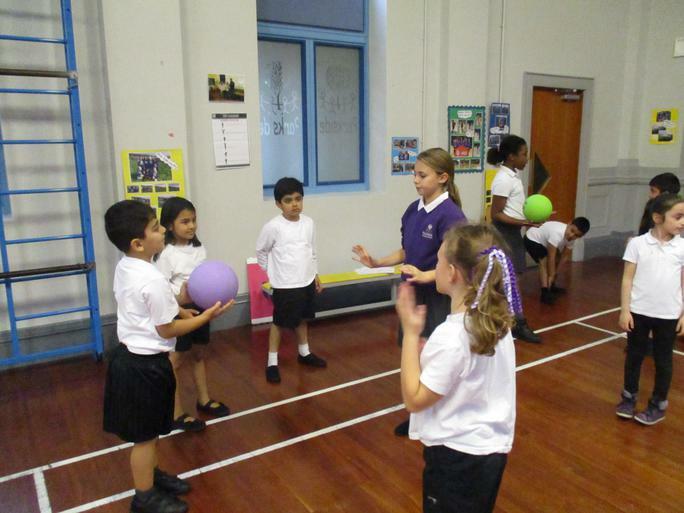 Children enjoyed the routines while keeping active. 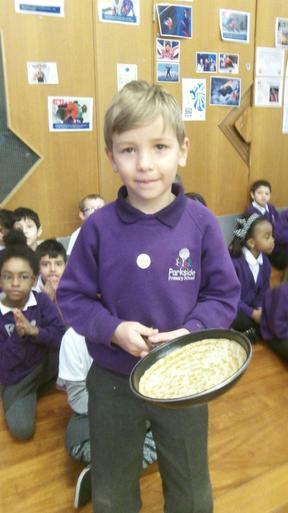 Our school is taking part working towards our gold achievement. 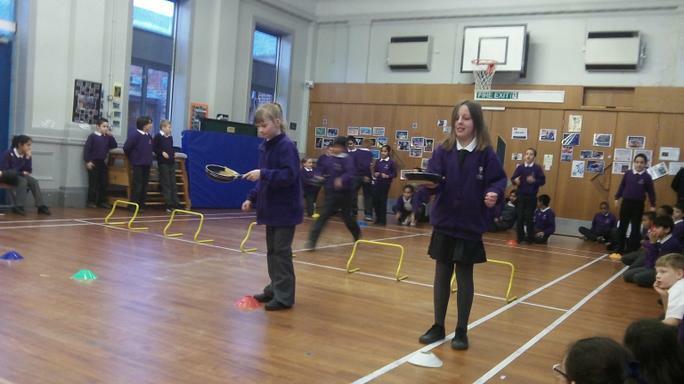 Red House was the overall winners of the day. 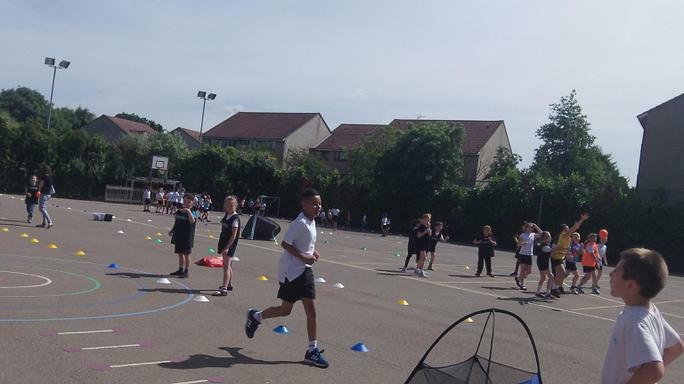 Parkside Sports Crew organised our fantastic annual event this year and it was thoroughly enjoyed by all the pupils. 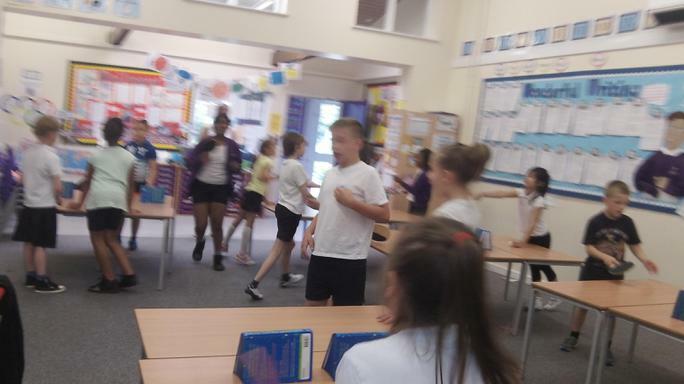 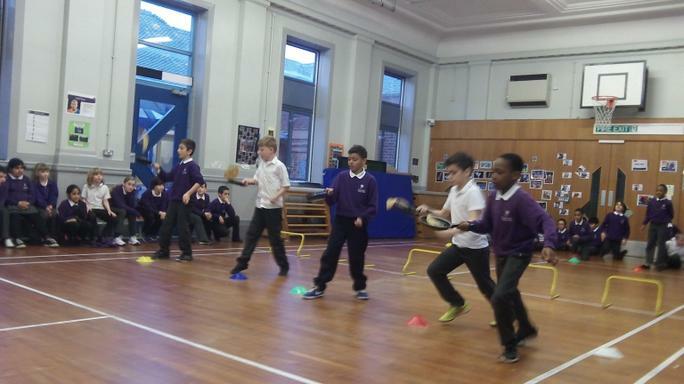 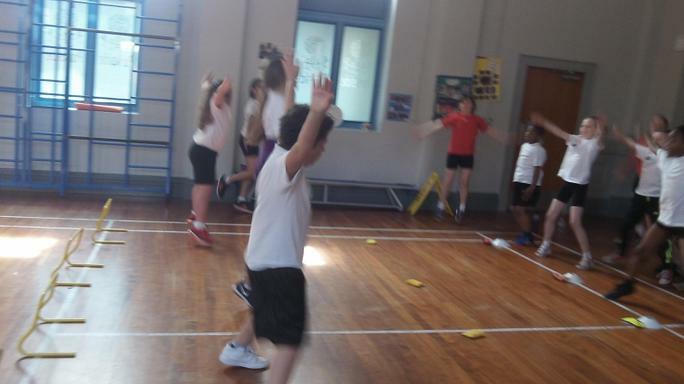 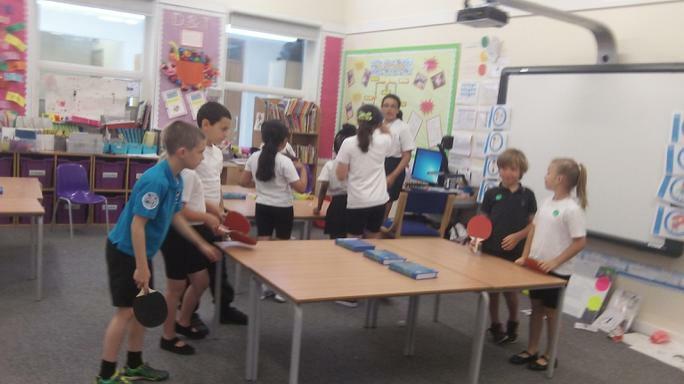 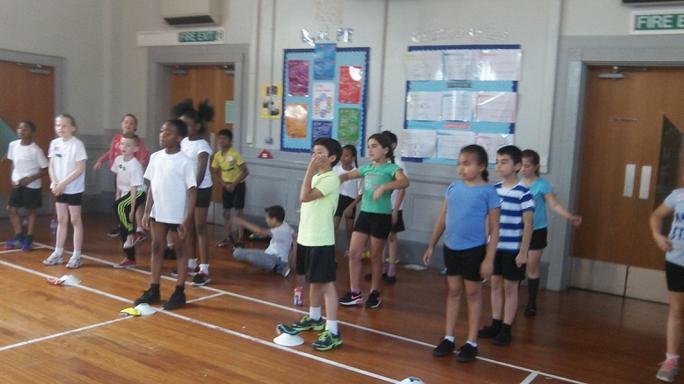 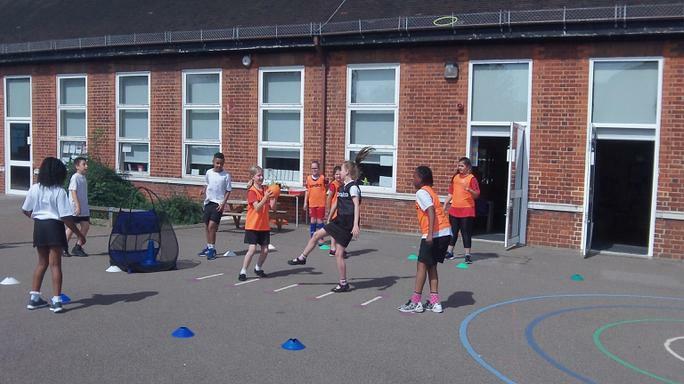 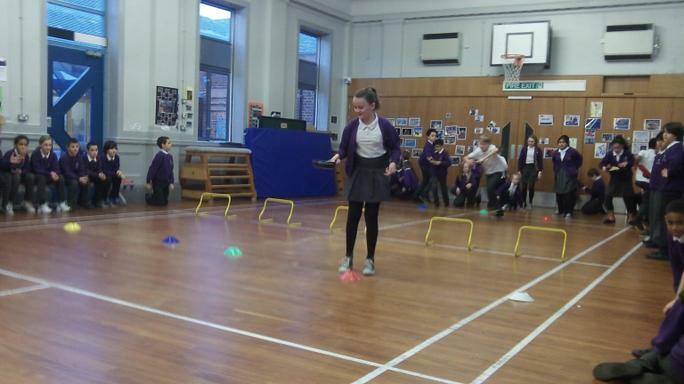 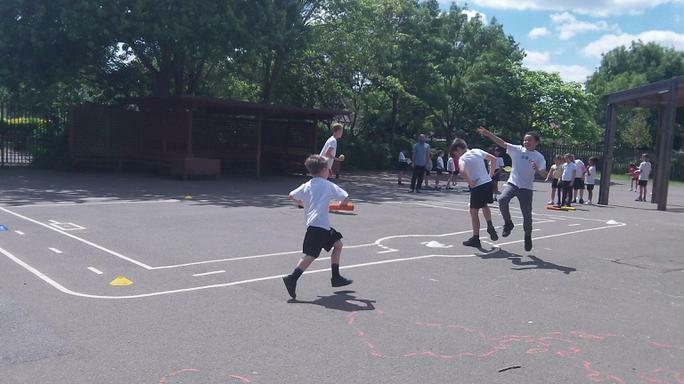 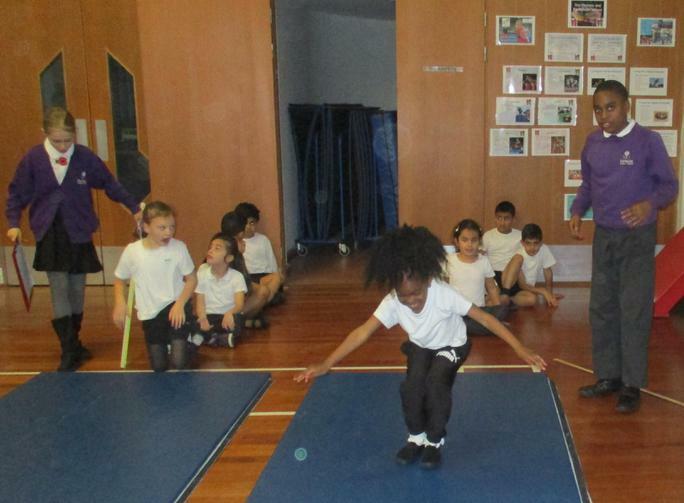 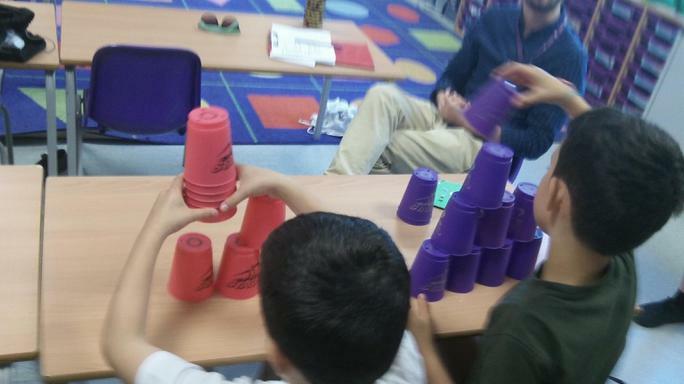 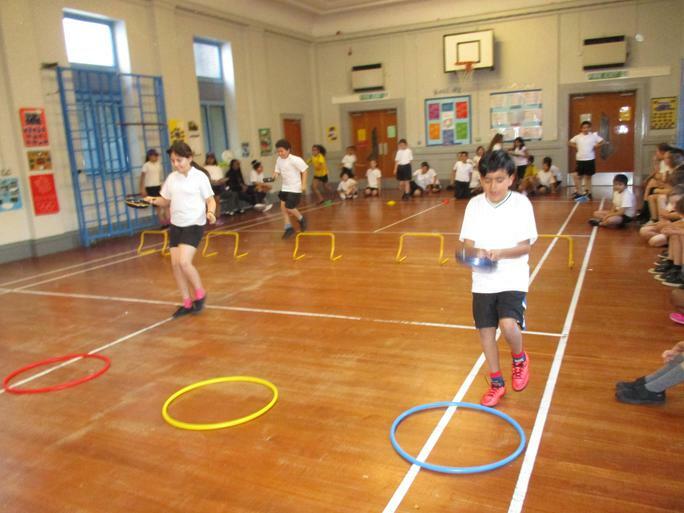 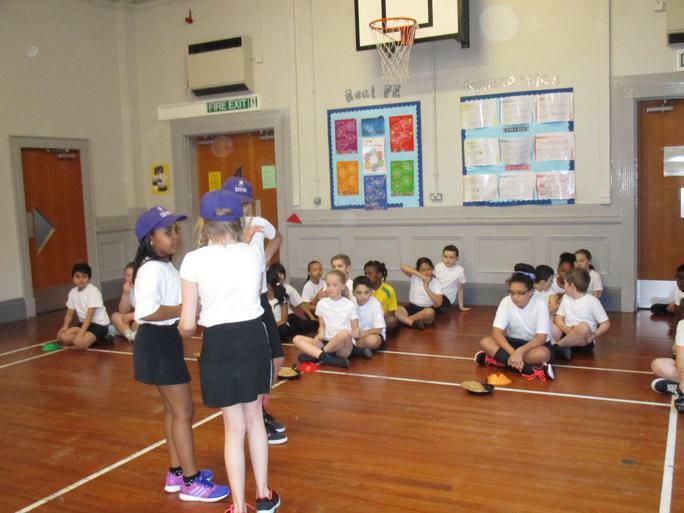 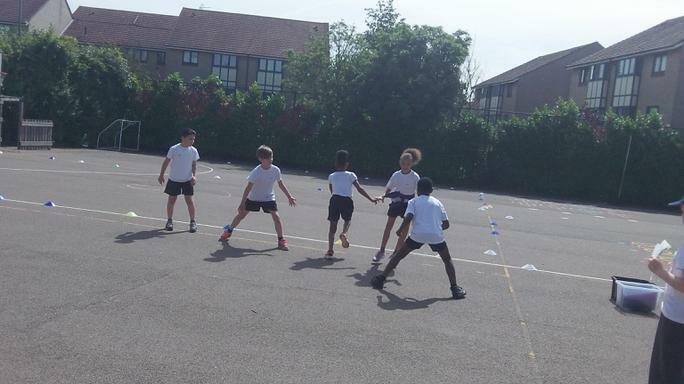 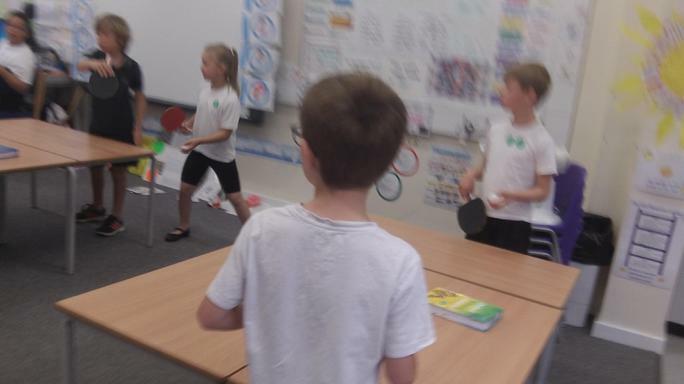 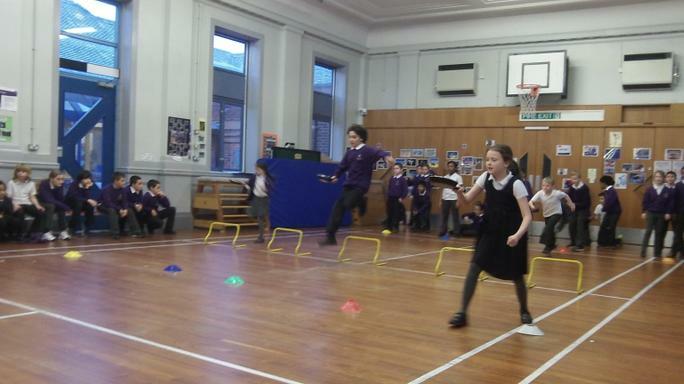 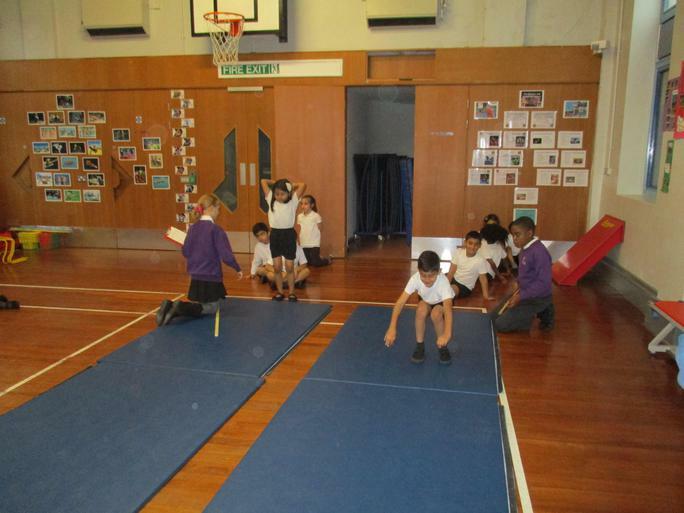 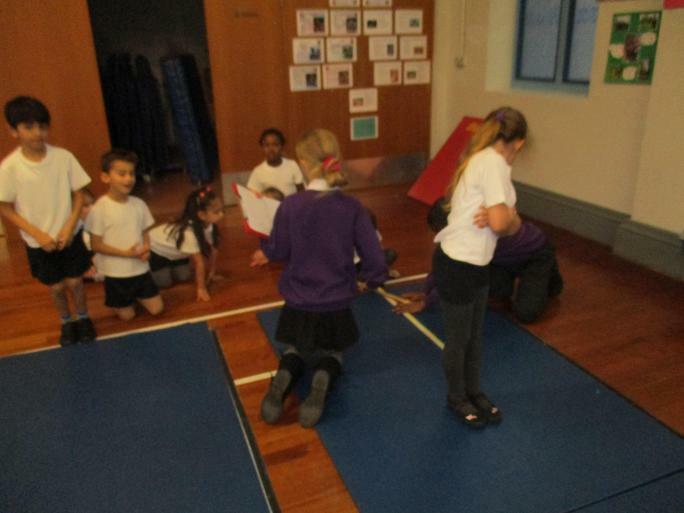 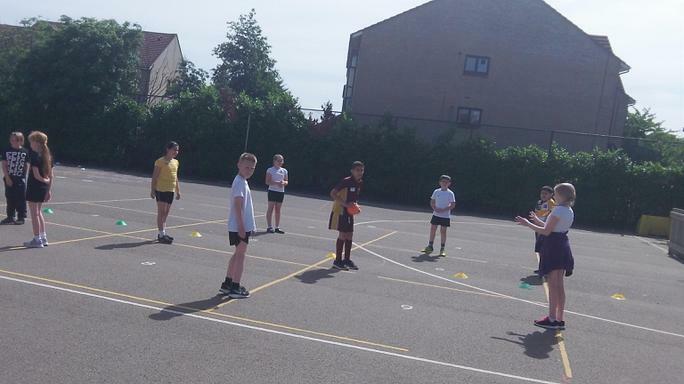 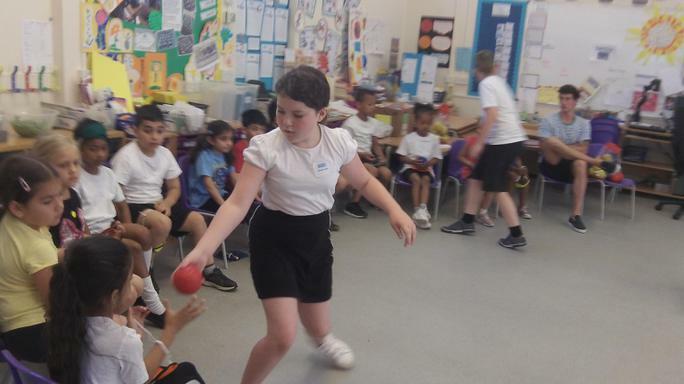 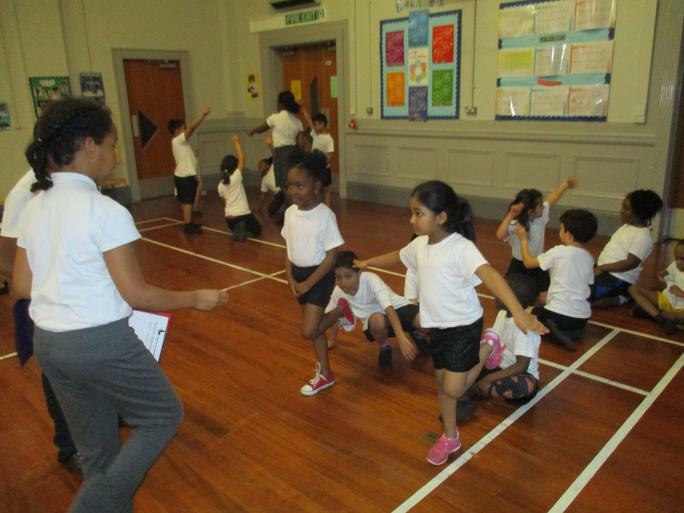 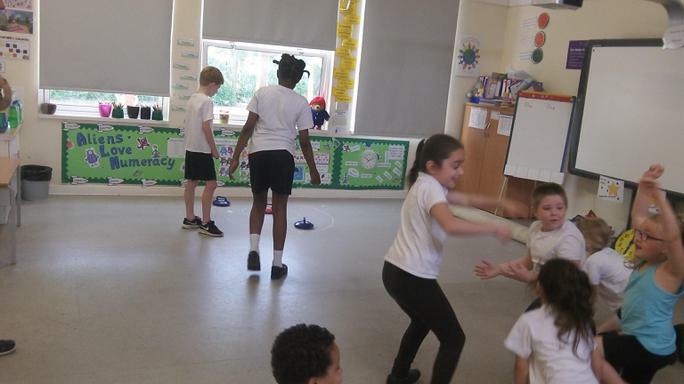 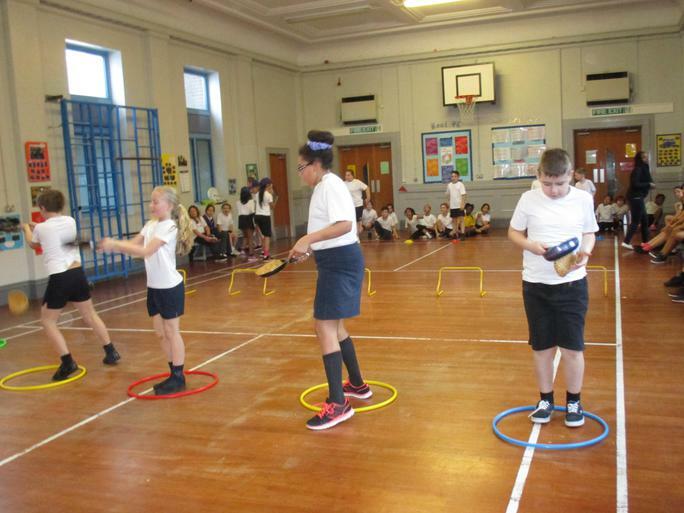 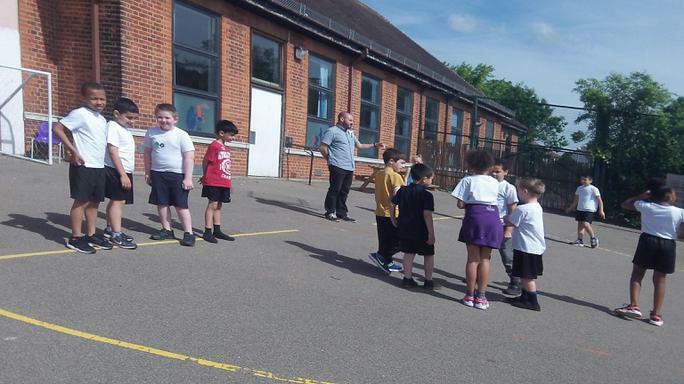 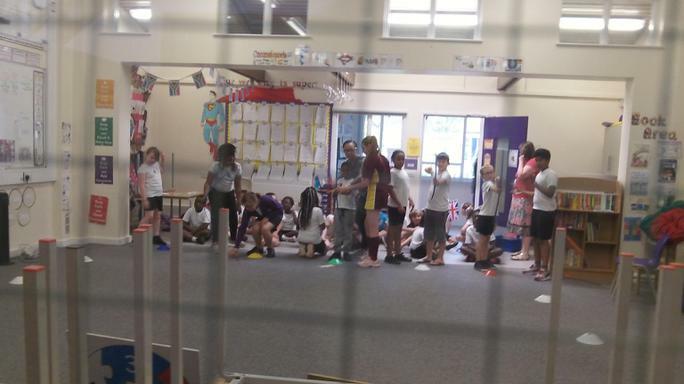 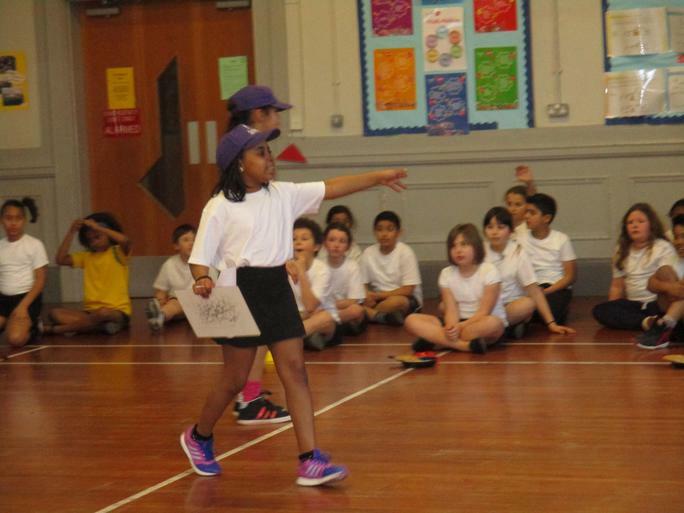 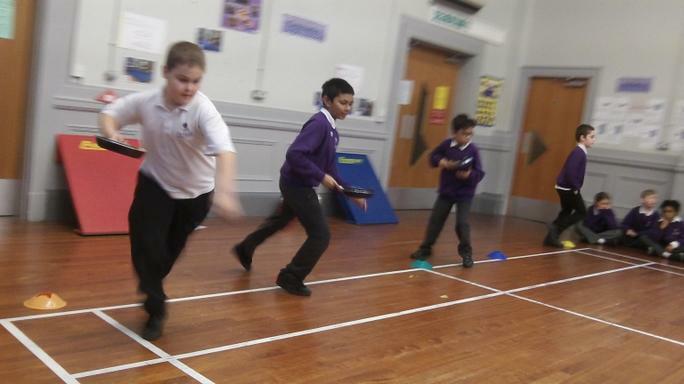 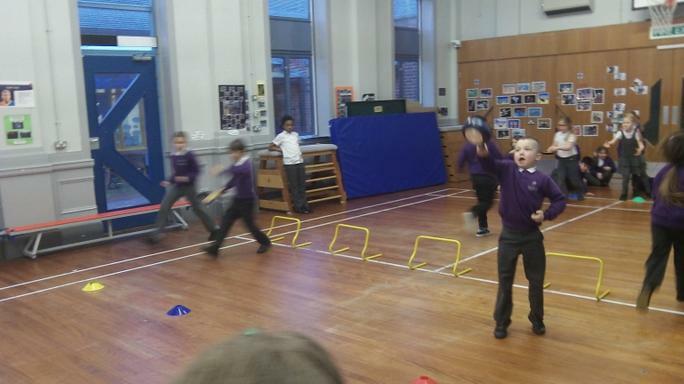 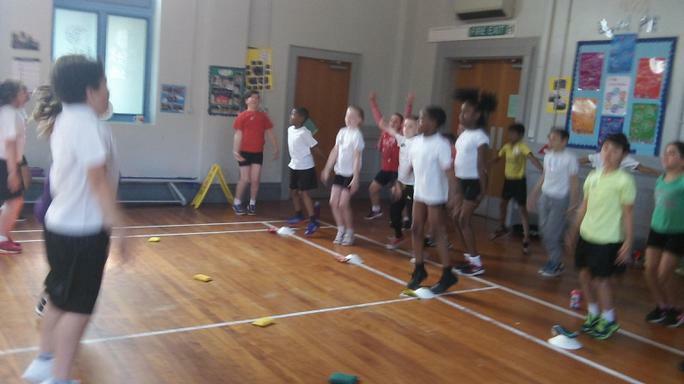 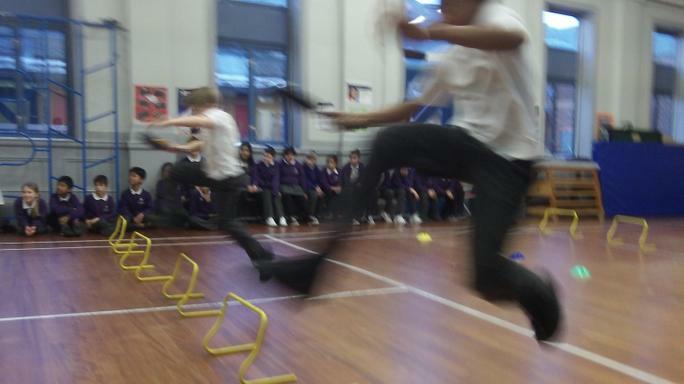 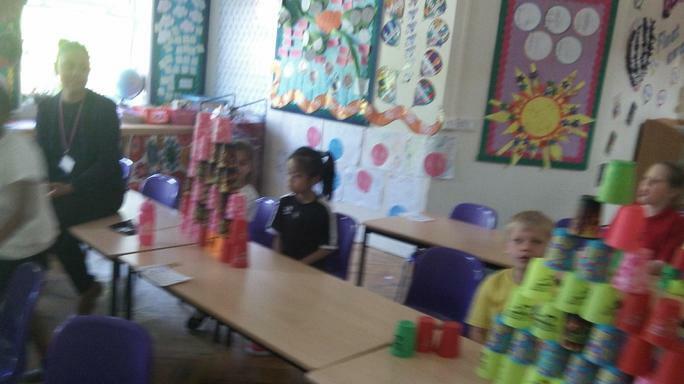 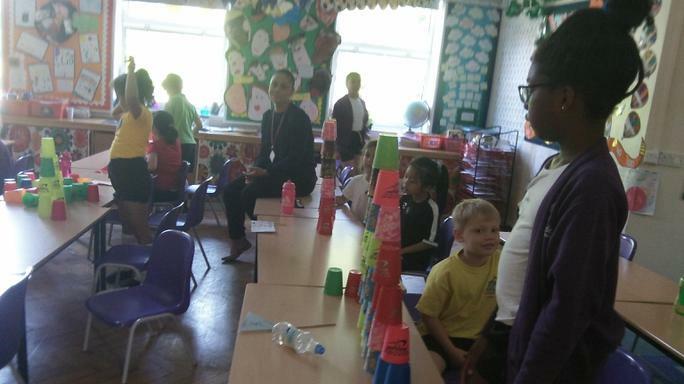 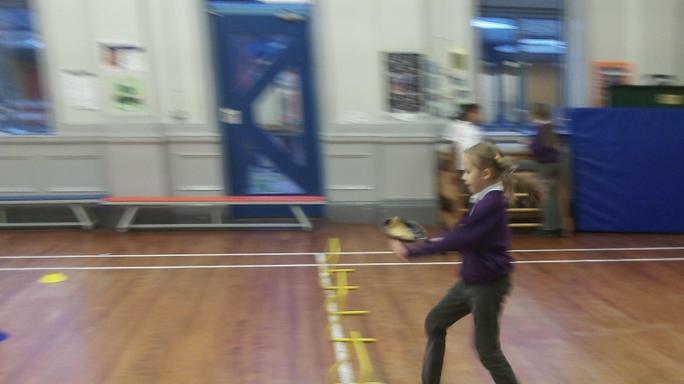 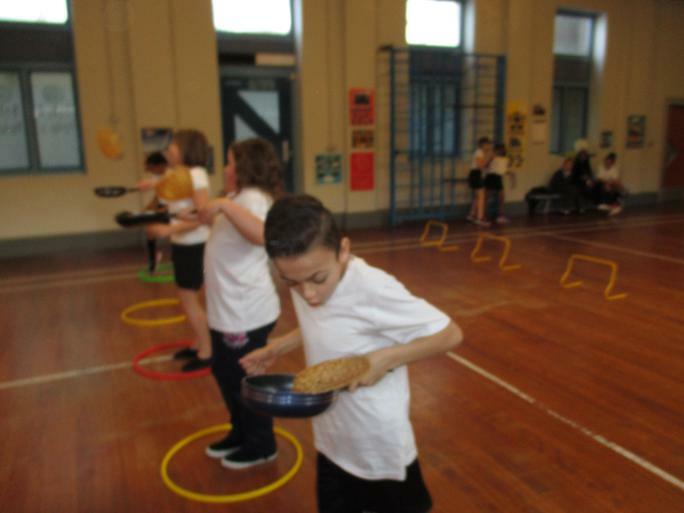 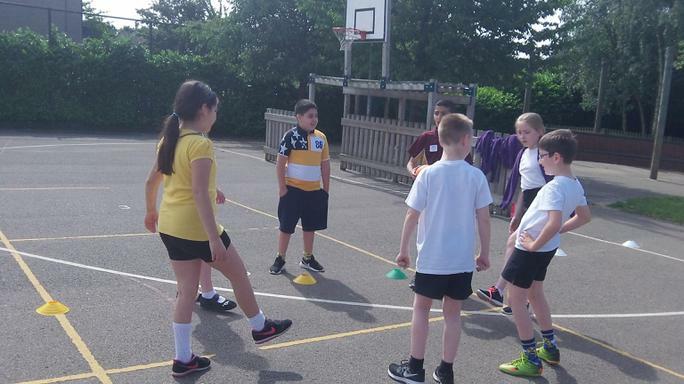 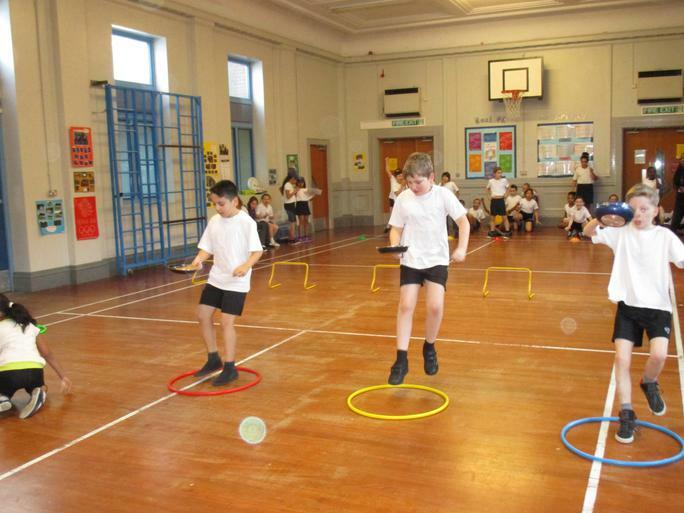 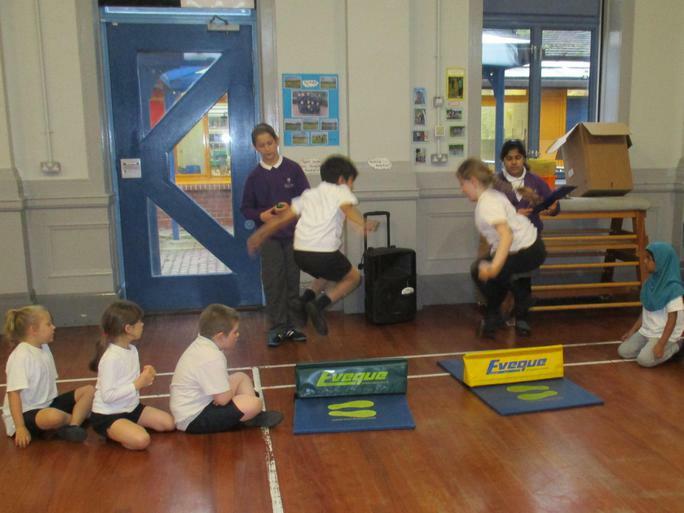 Year 2 Classes took part in a in school competition led by Year 6 Sports Leaders. 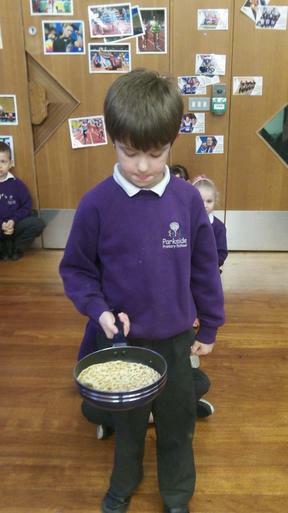 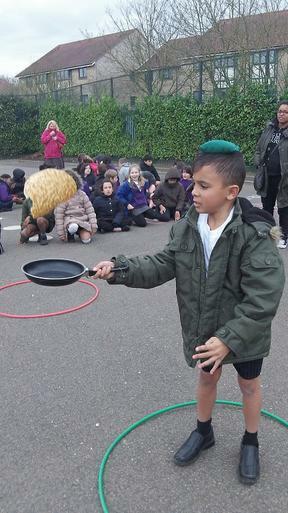 Pancake race 2015- Won by Blue House!